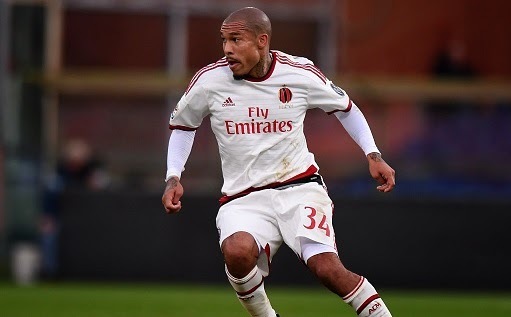 Manchester United eyeing Nigel De Jong Italian reports has revealed Manchester United’s interest in former Manchester City midfielder Nigel De Jong who will be out of contract in the summer. Italian reports has revealed Manchester United’s interest in former Manchester City midfielder Nigel De Jong who will be out of contract in the summer. Calciomercato reported that Manchester United boss Louis van Gaal is eyeing to sign the Dutchman in the summer on a free deal. AC Milan vice president Adriano Galliani has told that he will not offer a new deal to De Jong and will allow him to leave on a free transfer. De Jong has been a vital player for Milan, he has started 17 Serie A games so far this term. United boss who has already worked with him while managing Netherlands is keen to team up with him once again. De Jong has also rejected a chance to join his former outfit Ajax despite of knowing his career at Milan will be finished in the summer. Furthermore, De Jong is hoping for a Premier League move. The 30-year-old is an experienced player, he played more than 100 games for Manchester City before moving to AC Milan in 2012. The reports claim that De Jong could become United’s first summer move. While, Manchester United have been linked with several midfielder including Kevin Strootman of AS Roma and İlkay Gündoğan of Borussia Dortmund.